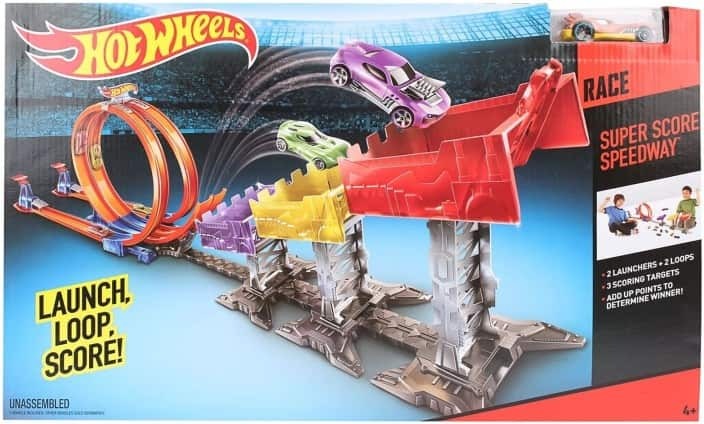 oop, launch and dive with Hot Wheels super score speedway trackset. Stage nerve wracking stunts with this loopy trackset from Hot Wheels. Features two launchers, two loops and three scoring targets to maximise racing fun.